The KONG Deck Crew Cut 5 is designed for serious abuse. It features a 4-layer palm for maximum abrasion resistance. It also has our exclusive CT5 cut resistant material for cut level 5 protection. It’s also treated with DuPont Teflon for oil and water resistance. 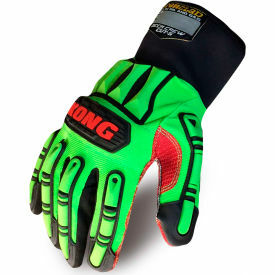 It also offers complete back of hand protection that the Oil and Gas Industry demands.